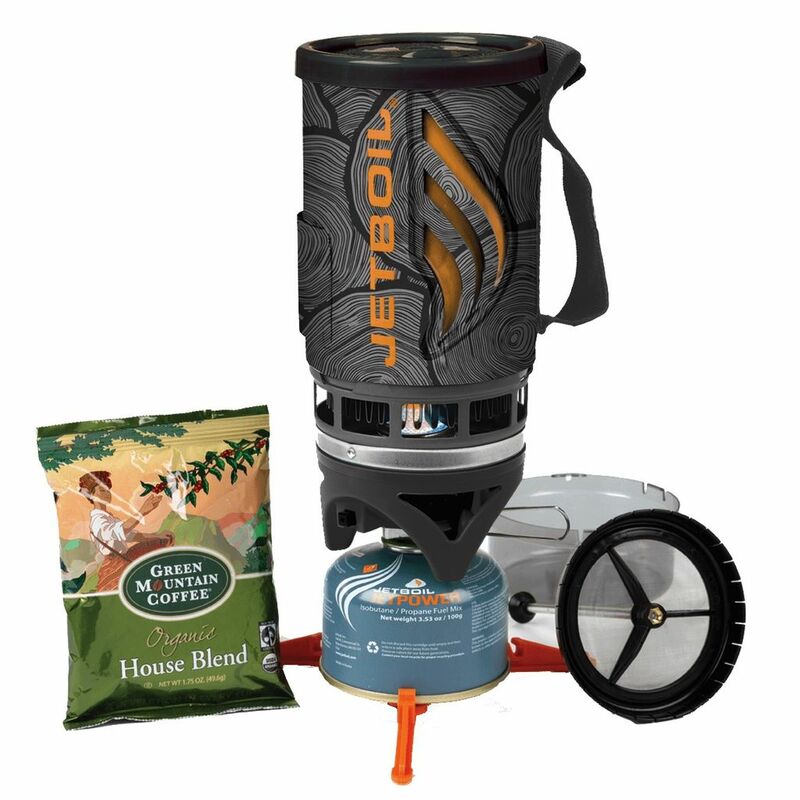 PERSONAL COOKING SYSTEM | The Flash Java Kit includes a Flash® cooking system, the ever popular Coffee Press, as well as a sample of Green Mountain coffee, allowing you to make Java right on the trail. The Flash® steps up from the Zip cooking system with a push-button igniter, heat indicator, and increased volume. This Flash cooking system lights with the click of a button and in just over 2 minutes provides two cups of boiling water for cocoa, coffee, instant soup or a gourmet freeze-dried meal. The newly designed burner secures the igniter, protecting it from bumps along the road. Flash is designed to be one of the safest cooking solutions out there. The cooking cup clips onto the burner, preventing accidental spills, and the fuel canister tripod ensures overall stability. The insulating cozy has a color-changing heat indicator that signals when contents are hot.